You know what I love? An ink that has a great name. 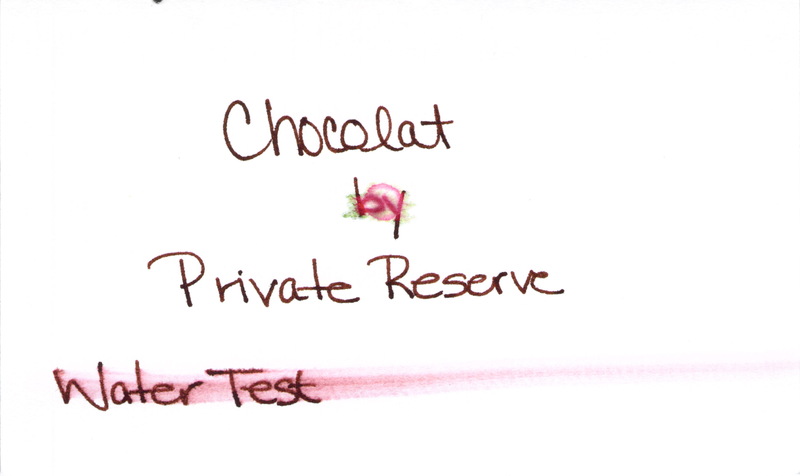 Chocolat from Private Reserve. Yum. I can practically taste the cocoa. 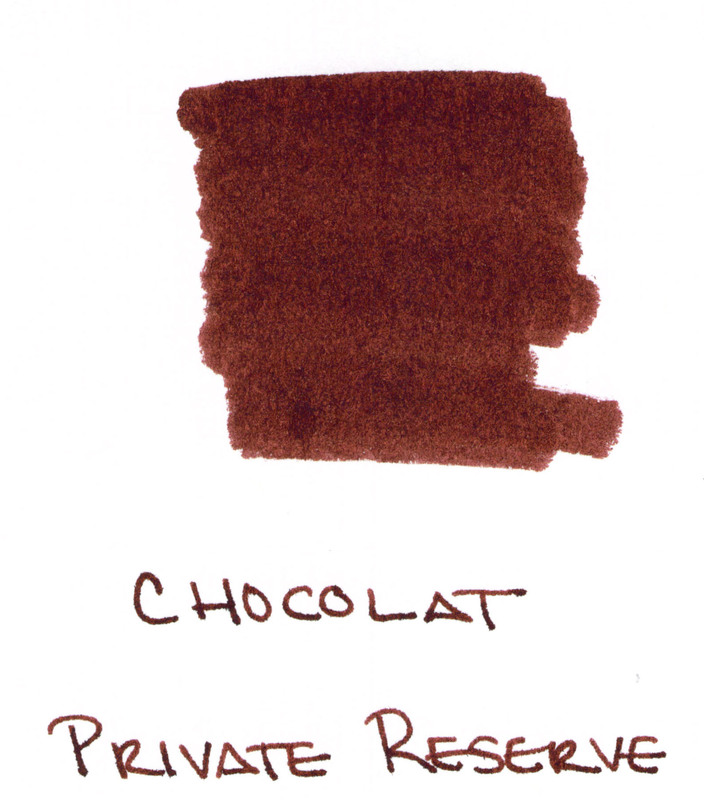 And even with the swab above, it’s easy to see that this is one glossy shiny ink. I love that, too. Love. Maybe just a tiny bit too red. And not water resistant, though I’m not surprised by that. Bottom Line: I dig it! If I wanted a brown, I’d probably buy a full bottle. 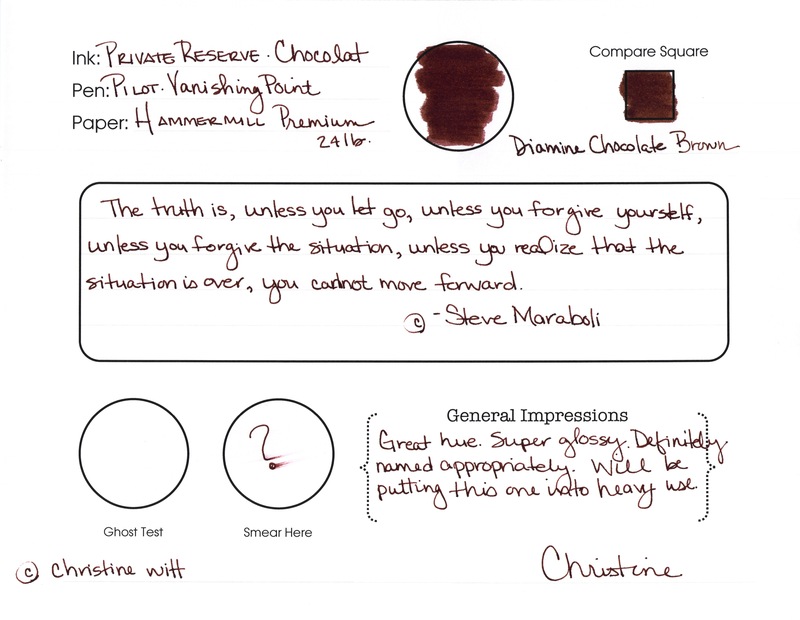 This entry was posted in INKS and tagged brown, private reserve by Christine (Pentulant). Bookmark the permalink.